Researchers will collect and compile valuable data and materials obtained during China's major ocean expeditions to the South China Sea and its affiliated islands and reefs, said Long Lijuan, deputy head of the South China Sea Institute of Oceanology under the Chinese Academy of Sciences. 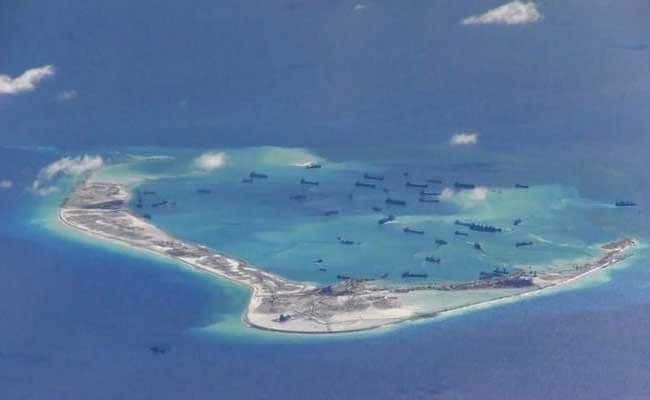 China claims almost all of South China Sea, including islands more than 800 miles from Chinese mainland. Beijing: China has launched a research project to compile historical data obtained during expeditions by its teams to the disputed South China Sea since the late 1950s. The project is one of the 14 resource investigation programmes approved by the Ministry of Science and Technology this year, state-run Xinhua news agency reported today. A comparative analysis and research into the data will provide insight into the resources, environment and changes related to the South China Sea and its affiliated islands and reefs. The project has the participation of 193 scholars from 10 domestic research institutions and universities, who specialise in fields such as marine life, ecology, fishery and geology. Retired expedition members have been invited to assist the programme to ensure the reliability and precision of the data.